They say the best gifts are handmade. 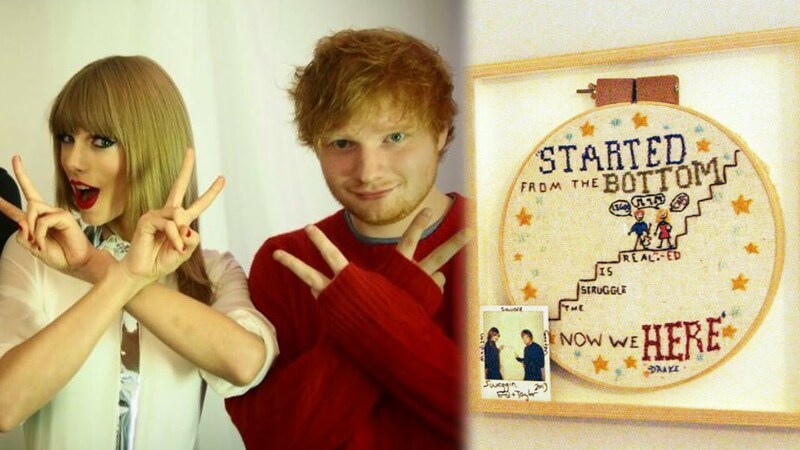 In 2014 minor celebrity, Taylor Swift made a Drake-themed needlepoint for her BFF, fellow musician Ed Sheeran. Certainly, a thoughtful and sweet gesture by Taylor. Albeit, a bit rudimentary in its craftsmanship. If your needle-smith skills are as primitive as Ms. Swift’s, then just “Shake It Off” and remember the “End Game” is to give something meaningful that is both unique and handcrafted. If you consider yourself as cool as Taylor Swift, then you clearly appreciate the artistic value of needlepoint. However, if you don’t have the time, interest and ability to make your own needlepoint (and assuming you can’t get Taylor Swift to make it for you) then look no further than Smathers & Branson. As a golf fashion expert with an eye for belts, I sheepishly admit to just recently discovering Smathers & Branson while covering the Genesis Open. PGA Tour Pro, Derek Fathauer was wearing the brand’s belts at Riviera Country Club and I thought to myself, I have never seen such beautifully hand-crafted belts, even in my “Wildest Dreams”. My plan for a while now has been to write an article on belts; something along the line of, “White Belts: We Are Never Ever Getting Back Together.” However, once I received my Smathers & Branson package, I decided the brand deserved a stand-alone, feature article as a player in the golf-belt game. Smathers & Branson was founded in 2004 by two Bowdoin College roommates. Co-Founder, Peter Carter describes their typical customer as someone with good taste, who appreciates classic style. Admittedly, golfers are a great demographic for Smathers & Branson and as a result, they work with just under 1,000 golf pro shops and not surprisingly are in almost all of the top 100 clubs in America. Whether you tend to take a very classically conservative approach to your golf wardrobe (think khakis and plain polo) or are a bit more trendy, Smathers & Branson has a belt for you. The brand’s selection is diverse and each belt is unique, handcrafted and likely to draw (appropriate) glances to your waistline, as well as being a definite conversation starter! Men have very little opportunity (or desire) to accessorize. Belts, watches, and socks are about our only options. I love that each Smathers & Branson belt is a work of art that allows us to tastefully bring some personality and flair to the course and to our wardrobe. In addition to belts, Smathers & Branson offers a full line of golf-themed needlepoint items. As we learned at the 2018 PGA Merchandise Show, headcovers are a hot item. And I am particularly impressed by Smathers & Branson’s needlepoint driver headcovers! Like their belts, they are classy, elegant and truly a work of art. You can even match them to your belt if you are so inclined. (I promise, just a few last Taylor Swift song references if I may). “…Ready For It?” Next time you have that “Blank Space” between your trousers and polo and want to adorn that space with something “Gorgeous”, be like T-Swift, embrace needlepoint, and get yourself an awesome belt from Smathers & Branson. These belts are awesome, something for everyone. Great find Mike! You should check out the pampeano belts, they are equally fantastic. I love them and they are all the rage on the range in the UK.